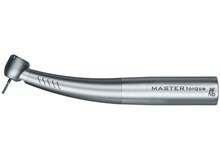 Dentists use their handpieces every day, why not have a reliable, capable handpiece that is always consistently running? You don’t want to waste your time being uncomfortable, and you especially don’t want to waste your time trying to get a malfunctioning handpiece to work right. Well, I am the person in charge of making sure many dentists are happy with the handpiece they are using and, to be honest, there is stuff out there that is never going to work as well as others will. The reason I know this, is because I can see the insides, and you only see what’s happening on the outsides. Now, these are just my personal opinions so don’t get to fired up or offended if I believe the handpiece you are using is junk. Star- Star makes a great, high quality handpiece. Star makes a good amount of very reliable handpieces, which all have a bit different design and specifications. However, every star handpiece will run just like the next; They are extremely consistent handpieces. The lubefree model, 430SWL, is a great handpiece if you are looking for something that lasts a long time, and runs quiet. One Con of Star handpiece is some struggle with having enough torque. This recently has been fixed by star as they released a torque model that can be used for any procedure. Best part of all… Made in the U.S.A. Baby! KaVo- KaVo is a german brand who makes a plethora of highspeed handpieces, they really cover all spectrums, and there seems to be something new every year. Some of the best are the Lux 3 635B handpieces. They have a small head, and don’t seem to lose much torque; however, they can be a bit noisy, and break a little more often. If you are looking for something with more torque, they have options for that too. SUPERtorque runs with high torque and quietly. Really, the only down fall with KaVo is they are a bit pricy, but you get what you pay for. Lares- Lares handpieces run on the same couplers as KaVo, but are a fraction of the cost. The main thing different with these, is it seems that they are lighter, but still as durable. There are two problems that I see recur with Lares handpieces. The first is the chuck seems to break. They have a removable chuck system that allows you to replace just the chuck when the bur starts slipping, rather than the entire turbine. Another problem is they tend to be a bit noisy after time and the bur has a lot of movement in it. Some people don’t mind this, and if you don’t this is a great bang for your buck. NSK/Brasseler- Great handpieces, high quality handpieces. One major problem with NSK’s is that their turbine runs perfectly smooth, but is balanced with the bearings. This makes it so when other bearings are placed on it, it will never seem to run as quiet as it once did unless the entire turbine is replaced again. Nonetheless, one of the most quiet handpieces I’ve ever rebuilt has been NSK, great for sleep dentistry. W&H/Adec- Some of the longest lasting repairs I have ever done. I overhauled bearings on a Synea years ago, and it is still running great. The way the handpiece is preloaded, and the turbine is supported is really the best, and this creates one of the longest lasting handpieces out there. Yes, you might lack a little bit with torque and sound, but that really isn’t far off from what others are. One problem I constantly hear with W&H is they have been trying to implement an LED system in their handpieces instead of fiber optic’s. Great idea, but the LED’s don’t last long at all. This isn’t much of a problem nowadays as most dentists usually wear lights anyways. Midwest- “They don’t make things how they used to” is really not the case here. These are the longest, and best selling handpieces on the market for years. They’ve kept the same designs (for the most part) on some of their best selling handpieces. The stuff like their tradition and quiet-air is really unbeatable. The only thing they lack is design, it’s like using a hot rod (because it’s vintage looking). They’ve done some stuff over the years and introduced new handpieces like the stylus, and it is all great stuff. Agree? Disagree? Feel free to let me know in the comments below!